Prime Minister Narendra Modi continued shooting for a film in the Corbett National Park for his "propaganda and publicity" till the evening of February 14 despite the Pulwama attack taking place in the afternoon that day, the Congress on Thursday alleged, citing reports in a section of the media. There was no immediate reaction from the Prime Minister's Office and the BJP over the allegations. The opposition party also accused BJP president Amit Shah of "politicisation of terrorism" in his speech in Assam following the attack in which 40 CRPF jawans died after a Jaish-e-Mohammed terrorist rammed an explosive-laden vehicle into the paramilitary force's convoy in Jammu and Kashmir's Pulwama. 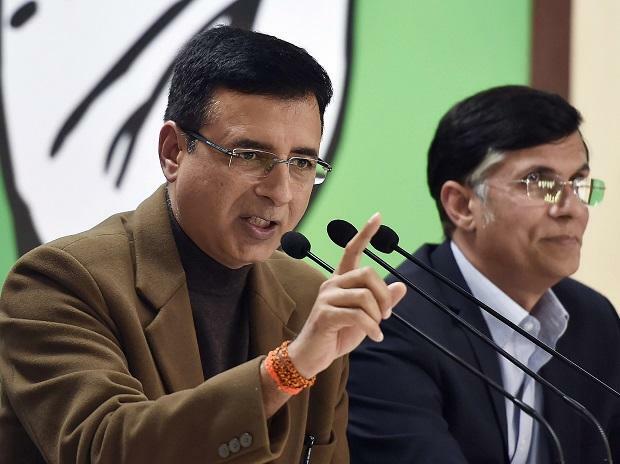 Congress spokesperson Randeep Surjewala, addressing a press conference, launched an all-out attack on the government and the prime minister over the Pulwama terror strike. In his hunger for power, the prime minister has forgotten "raj dharma" (duty of governance), he alleged. Citing media reports in Hindi news papers, Surjewala gave a timeline of events saying the the terror attack happened at 3:10 PM on February 14 with the Congress reacting at 5:15 PM. "The prime minister also knew about it, yet the PM, a person who claims himself to be a pseudo nationalist, continues to shoot a film (for Discovery channel) for self propagation in Corbett National Park in Ramnagar," he claimed. He alleged that the prime minister continued to "enjoy boat rides" with the camera crew and later ensured that there is slogan shouting by BJP people in his favour there. "The prime minister continues to eat chai, samosas at seven o' clock at government expense in a PWD guest house when every single Indian household didn't eat their food," the Congress spokesperson said. On one hand the country was picking up the "pieces of our martyrs", on the other hand the prime minister was doing his "propaganda and publicity", he claimed. "Can such conduct be expected from the prime minister of a country. The prime minister should have been chairing the cabinet committee on security immediately and should have taken action, instead of shooting films," he said. Surjewala said that the Congress party had shown restrain as directed by party president Rahul Gandhi, but it was important to raise issues of such conduct that "insults martyrs". "The Congress party and the entire nation stands united with our armed forces as also our government in every step that they take in tackling Pakistan-sponsored terrorism. We are determined in that resolve even today," he said. The Congress leader said that questions must be asked about the gross intelligence failure of this government and on the "priorities of a prime minister who on a sensitive time like this has gone on a foreign tour to South Korea instead of tackling terrorism".